As expected, Apple announced the iPhone 5 at today’s media event. The iPhone 5 appears to have many of the rumored features and is identical to the leaked pictures. This includes the reduction in size and weight. 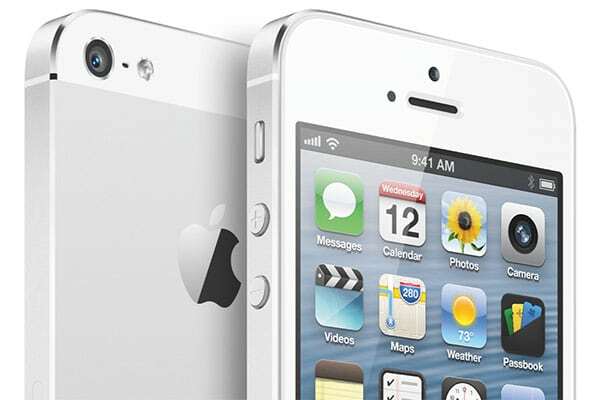 Apple’s new iPhone 5 is 14% than the iPhone 4S and 4 and is 20% lighter than both previous devices weighting 3.95 ounces. As expected and wanted by many, the iPhone 5 has a 4-inch Retina display taller than the iPhone 4S/4 with the same width. As many rumors pointed out, Apple now supports LTE and has added it to the iPhone 5. 4G LTE was additionally added while still supporting HSPA+, EDGE, EV-DO Rev. A and Rev. B and all previously supported connectivity that are found in the iPhone 4S. If you thought the iPhone 4S is still slow, the iPhone 5 will change your mind with its A6 processor. The iPhone 5’s A6 CPU is twice as fast as the A5 processor which is used in the iPhone 4S, iPad 2 and 3rd-gen. It’s also said that the A6 CPU is 22% smaller and more energy-efficient — allowing the device to last up to 8 hours on 3G or LTE and 10 hours on WiFi. The new iPhone camera didn’t get any resolution bump, still has an 8 megapixels sensor. The front camera will offer 720p HD video recording allowing you to take pictures while recording. The iPhone 5 has three microphones to improve voice recognition and noise cancellation. Apple’s new EarPods earphones will be bundled in the iPhone 5. Apple will offer the iPhone 5 in two different colors: Black and White. This time Apple decided to do it different. Instead of having the back and front plate of the device with either black or white, the white has a raw aluminum back and the black sports a dark anodized body. The new iPhone 5 will cost $199 for 16GB, $299 for the 32GB, and $399 for the 64GB. Pre-orders will begin on Friday, September 14 and shipment will start on September 21st.